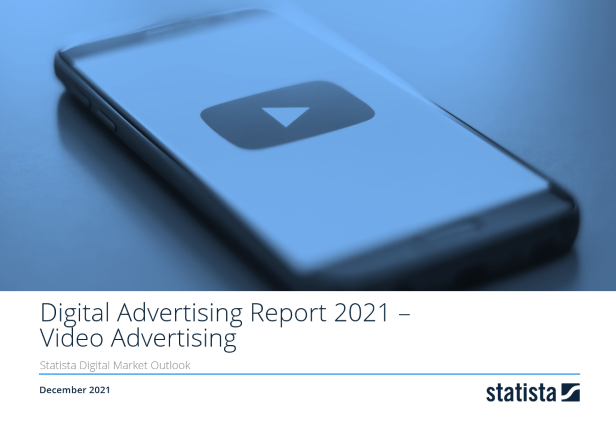 Revenue in the Video Advertising segment amounts to US$11,707m in 2019. Revenue is expected to show an annual growth rate (CAGR 2019-2023) of 10.8%, resulting in a market volume of US$17,645m by 2023. Video advertising considers all ad formats within web- or app-based video players. These formats are typically video ads that appear before, during or after the streamed video (pre-roll, mid-roll, post-roll video ads). In addition to these video ads text- or image-based overlays that appear while watching a video are also categorized as video advertising. Video ads on a page (that is not in a video player) are categorized as rich media banner advertisements. Reading Support Ad spending in the Video Advertising segment amounts to US$11,707m in 2019. Reading Support The Video Advertising segment is expected to show a ad spending growth of 13.9% in 2020. Reading Support With a market volume of US$11,043m in 2019, most ad spending is generated in United States. Here you can find more studies and statistics about "Video Advertising".